Featuring newly commissioned works by Isaac Chong Wai and Rachel Monosov. MINE - The Film Will Always Be You: A film program series curated by artist Abrie Fourie. Transcultural Transience, the second chapter of the curatorial collaboration Karma Ltd. Extended, is approaching political aspects of history, while investigating notions of ephemerality, knowledge-production, and transmission. During five weekends, the gallery hosts a site-specific and process-oriented performance series, a lecture, and a screening program. 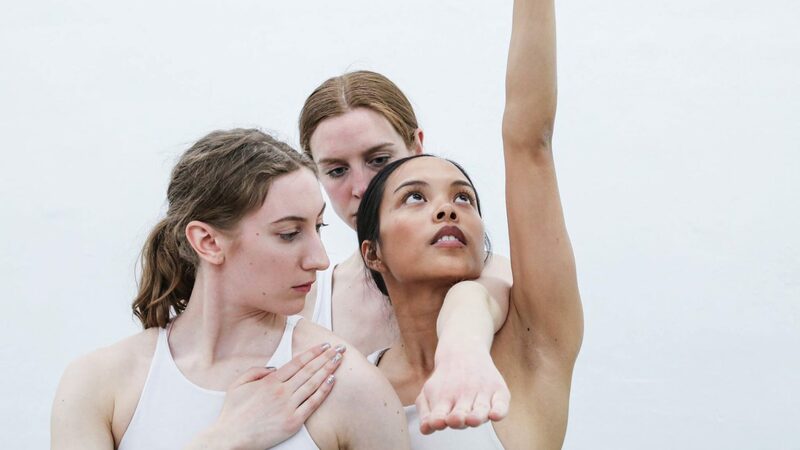 The newly commissioned durational works by Isaac Chong Wai and Rachel Monosov question how embodied collective memory can be reconsidered and dealt with through performance. By looking at large-scale gatherings, such as demonstrations and the Olympic Games, the artists are investigating the role of the individual within those assemblages. What is the function of the bystander, who unexpectedly becomes part of a public demonstration? And what can we make of human bodies, marked by weakness and perfection, which become symbols for a national or political struggle? These are examples of questions that arise, more frequently so within our societies becoming rapidly digital— as human activity becomes increasingly virtual, and the line between physical and virtual spaces our bodies inhabit become blurred. This performance series took its beginning from politically charged images that surround and accompany the immediateness of our online personalities every day. These images are a trace of a political past, which continue reiterating themselves into the future. What if we try to slow down the speed of distribution of images on the world wide web? How can we understand, translate, capture, edit, and seek to archive these images that flicker on our screens? And yet they slip away in the invisible archives of the multinational corporations and we, once again turn into passive bystanders within a large-scale global process. Being connected to the Internet is simultaneously a transience and transcultural act, as one can momentarily extend political borders and spaces. What if we try to leave those virtual ephemeral platforms and assemblies behind and start to perform again outside of the laptop screen? Slavs and Tatars are aiming for a visualization of transcultural transience in the history of the human being. They refer to themselves as archaeologists of the everyday as they draw upon deeper layers of meaning exemplified by tradition, custom, performance, language, anthropology and politics. By breathing life back into vast, misunderstood and often forgotten regions, the artist collective aims to resuscitate Eurasia. Abrie Fourie, a Berlin-based photographer and artist from South-Africa, shares his knowledge and perspective on documented performance works by South African artists and the diaspora. His curated film series MINE - The Film Will Always Be You offers a rare and in depth look on performance ephemerality captured on film, which seeks to explore the myriad ways in which we identify and position ourselves. The newly commissioned durational works by Isaac Chong Wai and Rachel Monosov are going to start separated from each other. While Isaac Chong Wai will be working with his performers in the gallery space for the first two weekends of the exhibition (March 16/17/18/24/25), Rachel Monosov and her performers will find their way into the gallery on the third and fourth weekend (March 31 and April 1/7/8). On the fifth and last weekend (April 14/15), the two works will collide in the exhibition space. A journey with an unknown outcome. ISAAC CHONG WAI, REHEARSAL OF THE FUTURES: IS THE WORLD YOUR FRIEND? Performance Dates: March 16/17/18/24/25 and April 14/15 from 16:00 – 19:00 @ ACUD Galerie. Dancers: Katherine Leung, Manuel Lindner, Imola Nagy, Nobutaka Shomura. Isaac Chong Wai is a Berlin based artist from Hong Kong, who works with diverse media such as performance, site-specific installation, public art, video and photography. He engages with themes of collectivism and individualism, politics of time and space, borders, migration, war, militarism, racism, identity politics, public sphere and human rights. In Rehearsal of the Futures: Is the world your friend? the artist combines existing works with a series of newly developed durational performances in which he imagines how future generations might look at the current and former ideological consensus of certain body postures, gestures and movements. Isaac Chong Wai deals with these so-called ideological movements or ideological postures in order to look for and propose possible futures. Rehearsal has always been made for the future: a rehearsal for a theater play before the curtain is opened, a rehearsal of a song before the concert starts, a rehearsal for a speech before it goes public. Rehearsing is then made for reaching the idealistic and perfect form of what one expects to show in the future, while we are not able to find a perfect form from the future to rehearse: the time has not yet come. The artist uses the word the futures, which are the possible fragments proposed in regard to the rupture of time between the past and the future as a form of reconciliation. Meanwhile, the reconciliation is enacted through performance so as to deal with the repetitive history and offers a new body movement that reconciles between body and time. The work of Isaac Chong Wai was featured at the Bauhaus Museum (Weimar), Haus der Kulturen der Welt (Berlin) and the Moscow Biennale for Young Art. Performance Dates: March 31 and April 1/7/8/14/15 from 16:00 – 19:00 @ ACUD Galerie. Dancers: Stephanie Amurao, Katrina Bastian, Rachell Clark, Victor Dumon, Kinga Jaczewska, and Susie Yugler. Rachel Monosov is a Russian-born and Berlin based artist, who in her work delves into cultural notions of alienation, territorial belonging, gender, and identity. Her newly developed work Olympia takes Leni Riefenstahl’s film Olympia (1936) as a point of departure and investigates the bodily moments before the action and after: the seconds between motionlessness and getting into shape. The artist scrapes out this sculptural moment of transition and works with the image of perfect bodies, standing united on the starting blocks and finishing line. Monosov asks: We know what took place outside the walls of the stadium in 1936, but do we know or care what is taking nowadays place outside the walls of this room? Through the re-enactment and reproduction of the body movements and film aesthetics of Olympia in slow motion, the artist glares painstakingly at the human traces and moments of doubt in this nationalistic historical insignia, a questioning of the celebration of Olympic perfection. Rachel Monosov’s previous work Transcultural Protocol, a collaboration with Admire Kamudzengerere, was presented at the Zimbabwe Pavilion at the Venice Biennale in 2017. She made museum presentations at the National Gallery of Zimbabwe (2016), and at Museum Dhondt-Dhaenens (Belgium, 2017). Monosov is a co-founder of the CTG Collective.